你当前位置：首页 > 集运服务 > How to ship your goods from China to Singapore? 当前汇率：Please call 88130282 to check the latest exchange rate. How to ship your goods from China to Singapore? By following the instructions as follows, you can easily ship your purchased goods from Taobao (or whatever legally allowable goods that you intend to purchase from a China vendor) to Singapore. All the procedures are straightforward and carried out within Taobao2SG web site. (1) Sign up / register your user account at Taobao2SG.com. (3) Set up your China delivery address by using our China warehouse address with your user ID number. (5) Wait for all your parcels to arrive at our China warehouse. Request us to ship your parcels to Singapore. (6) Pay shipping fee. Trace, track and receive your goods in Singapore. Besides to completing registration via our web site, users who have a WeChat ID can also register an account by scanning our official WeChatQR code to register. All fields in the registration form are compulsory. Step (2): Register a China Taobao account. If you already have a Taobao account, you can skip this step. If you do not have an account at China Taobao, then you need to sign up one Taobao user account after you register yourself as a user at Taobao2SG.com You may refer to information at the link below concerning how to register your Taobao account. With your own China delivery address similiar to the example above (e.g., 广东省广州市白云区石井街道石搓路永丰五金城L10-3496), you can place orders at Taobao (or any Chinese online e-commerce stores) and request sellers to send parcels to the China delivery address taht we provide for you. This video illustrates the procedure regarding how to set your unique China delivery address provided by Taobao2SG.com as your default Taobao shipping address. 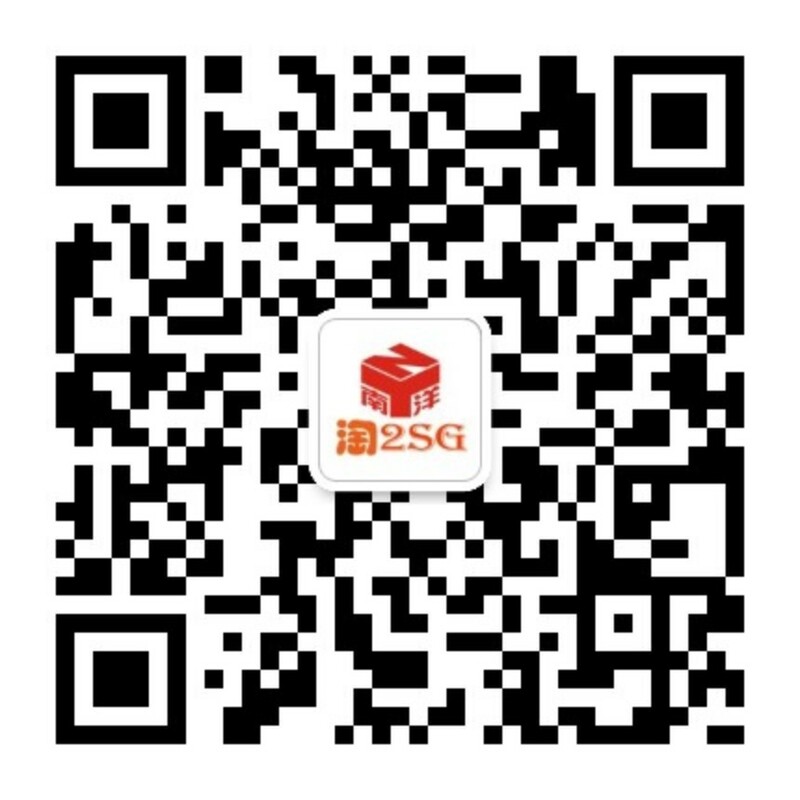 Once all your parcels have arrived at our Guangzhou warehouse, you can log in to Taobao2SG.com [User Center] to request for shipping your parcels to Singapore. You can click into [User Center] or [用户中心] to complete the shipping order. For a sea freight shipping order which is less than 0.5 cmb and for an air shipping order that is less than 15 kg in total, clients need to indicate whether they would like to self-collect their parcels from our Singapore warehouse or pay domestic (Singapore) delivery fees. The total or cumulative dimensional weight of all your sea-shipping parcels must be at least 0.1 cubic meter. There is no requirement of minimal weight for requesting air shipping of your parcels. Please make sure you have adequate balance in your own Taobao2SG user account to pay the shipping fee. In case that the balance in your account is inadequate to pay a shipping order, you need to top up your account before Taobao2SG.com staff can process your shipping request. Users can follow the instructions below to top up your accout balance. The easiest way to top up your account is to transfer fund by using mobile fund transfer such as PayNow and PayLah or using internet banking. Our PayNow and PayLah accounts are the same -- 88130282. For more payment options, you may refer to the payment information page. After your fund transfer to our bank account is completed, please send the screen capture of your banking transaction to 88130282 via WhatsApp or WeChat. This proof of fund transfer provided by you will expedite our processing of your account top-up. For a sea shipping order that exceeds 0.5 cubic meter and for an air shipping order that exceeds 15 kg, your consolidated parcels will be delivered to your Singapore address without further charges. Clients of Taobao2SG can also choose to self-collect their own parcels from our Clementi/ Jurong/ Woodlands warehouses.